What’s the point in a beautiful website, if nobody can see it! Over time, most websites owners feel that their website has lost some of its freshness. If you think your website is lacking that cutting edge when you had it designed, get ready for a website redesign project plan. You'll probably have many questions about the website redesign services and cost. Flow Online is a website redesign company based in Bristol, UK which can help you through this process. Sometimes you don’t always need a full re-design, you can always make subtle additions to the website like adding social network buttons, changing colours, updating imagery, jazzing up menus, increasing the websites width, adding additional pages or just updating text. Social Media and Blogging are not just nice-to-have gimmicks, they add on to your communication tools and are a very important addition to the marketing mix. Do you Search Engine Optimise your new web site? Of course, after all what’s the point in a beautiful website, if nobody can see it! After our graphic design team build a beautiful website visual, we can guide you through the SEO process. Our Search Engine Optimisation team have more than 10 years experience in getting to the top of search engines, so were confident we’ll be able help, whatever business you are in. Yes, we have vast experience with online trading. Our e-commerce system allows even the most inexperienced computer user to update and manage there own online shop, but we are always here to lend a helping hand if needs be! If you can sell online, you should do it now. If you aren’t pushing your digital marketing forward, your competitors are! 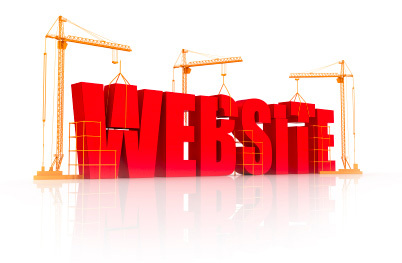 Call us now for a website redesign proposal.